Okay guys! If you don't follow me on Snapchat - thehanihanii, I highly highly recommend you go follow me. I do all my sneak peeks and unboxing there, you will get to see everything first-hand (before blog/Instagram) and find out what I'm up to in my daily life. Now moving on - some of you would have already seen me snapping these new Luminous Blushes ($34.00 USD for 0.21 oz.) from BECCA and be mesmerised by their beauty. 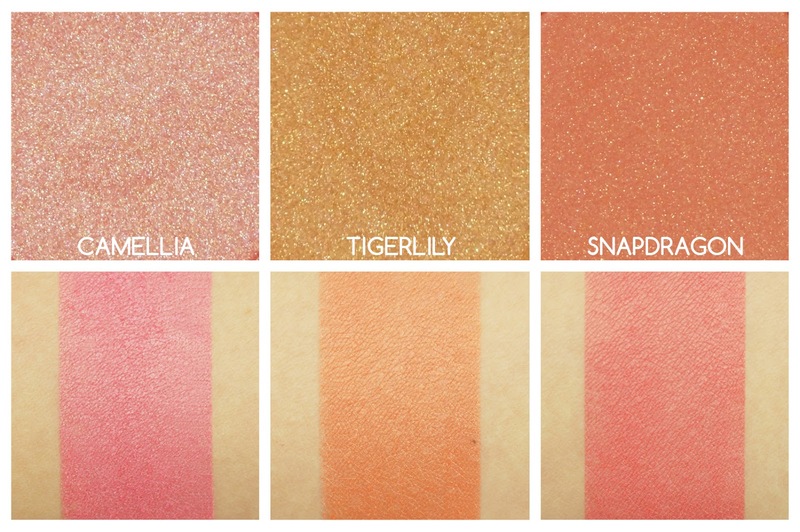 If you are a fan of their Shimmering Skin Perfector Pressed, you will love these new blushes! 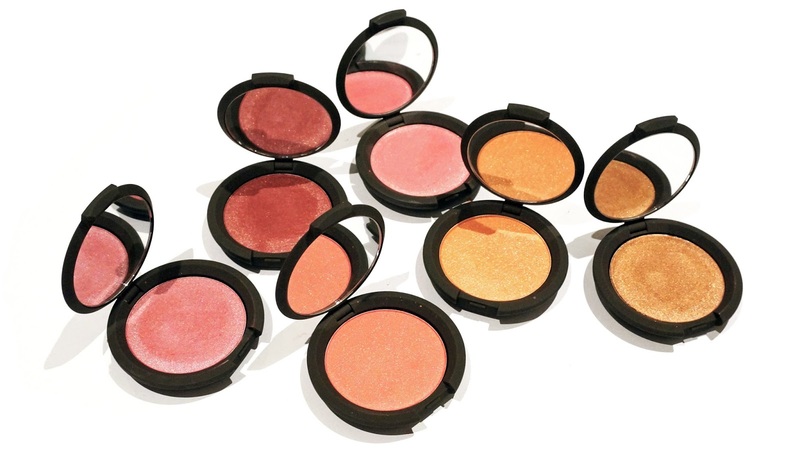 "multi-dimensional, versatile blushes to create a subtle, shimmering flush. Specially designed to flatter all skintones, this collection is inspired by the fan favorite Shimmering Skin Perfector—just the right balance of color and light. Wear them alone for subtle blushed luminosity, or as a blush topper layered on top of your favorite matte blush for an added pop of radiance." The blush formula is smooth, soft and easy to blend. 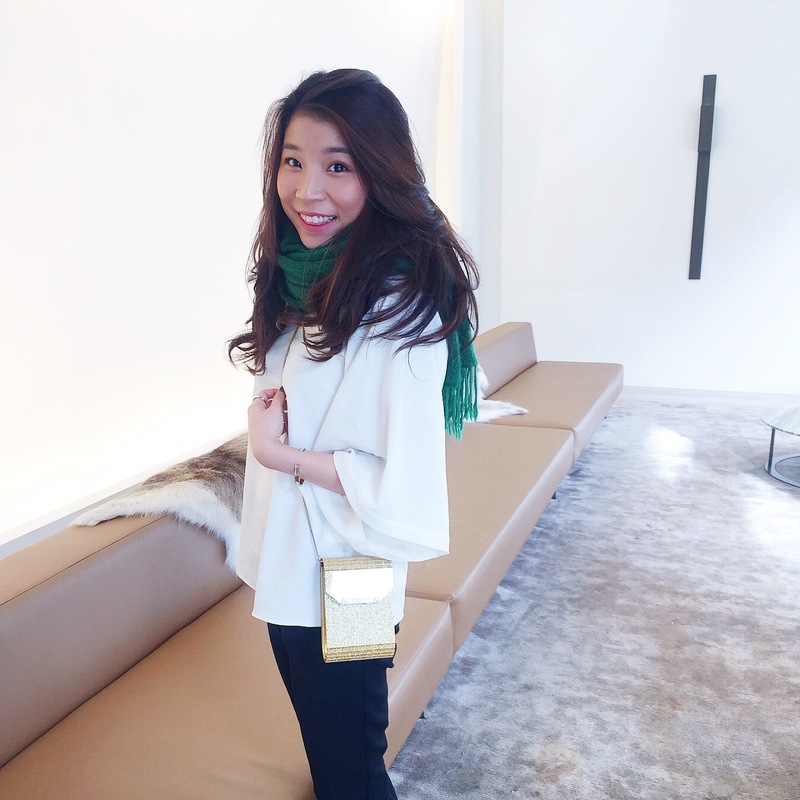 It is very similar to the Shimmering Skin Perfector Pressed, a little goes a long way. The colour payoff is amazing, they can be applied sheer or bold depending on what brush or technique you use. I like to use a light hand and a fluffy blush brush to slowly build up the opacity of the blush, just so I don't go overboard. Each blush has a strong shimmery overcoat, which might scare some of you at first glance, but once the overcoat is removed, it reveals a more subtle luminous blush. It is packed with fine shimmers to give a glowing flush to the cheeks and it doesn't appear to be glittery or a shimmer-overkill. 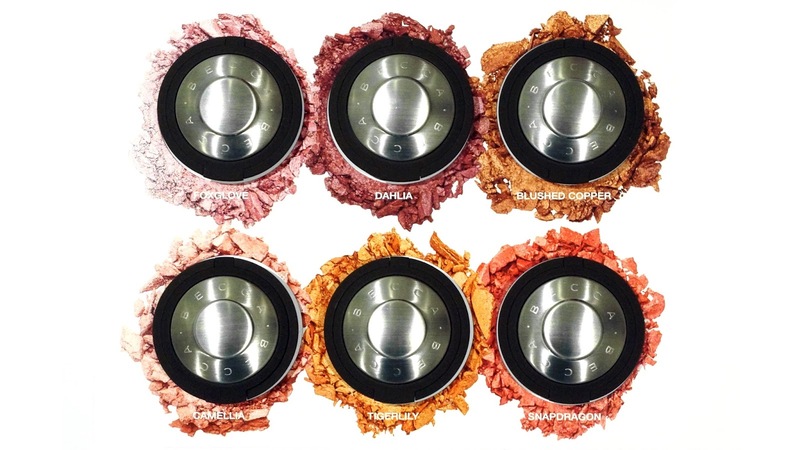 You can it see from the difference between the pans and the swatches. 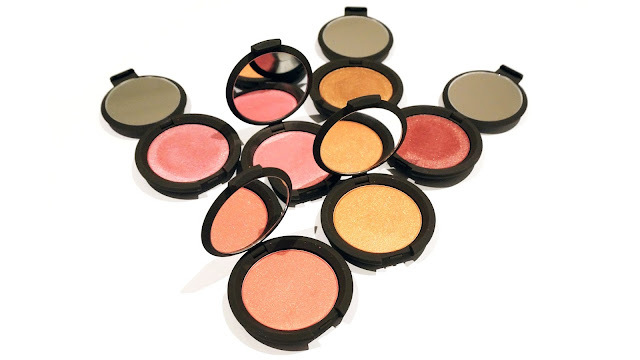 However, if you are looking for a matte blush, then these Luminous Blushes are not for you. 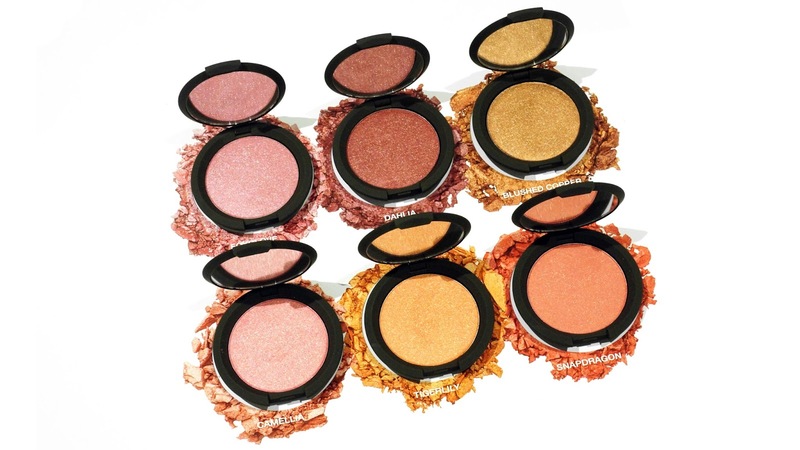 I suggest you check out BECCA's Mineral Blush, it is also very smooth and pigmented - my favourite colour is Flowerchild. The Luminous Blush comes in 6 different bright colours. 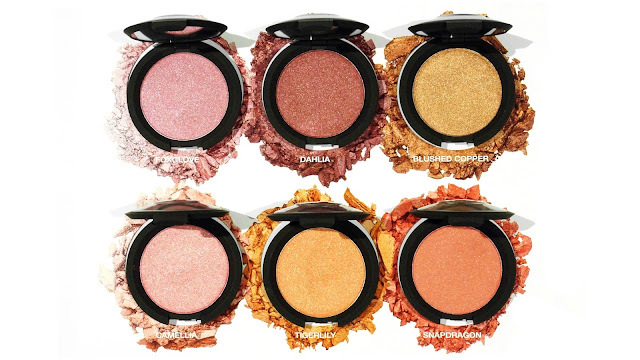 While the colour range isn't huge, I think BECCA picked their colours really well and catered for all skin tones. In terms of wear, I didn't find them clinging onto my dry patches or emphasising my pores. The lasting power was pretty impressive. All the shades lasted around 8-9 hours on me before fading and some of the darker shades lasted even longer. If you are looking to add a beautiful flush of colour and luminosity to the cheeks, this is perfect for you. It is now available in U.S. at BECCA, Sephora and ULTA. I am not sure when it will hit Sephora in Australia, but they are now available online at Beautylish (they offer free shipping to Australia on orders over $50 USD). What do you think of the new blush range? I would love to hear your thoughts. Hello beauties! I hope you are all doing well. I'm sure a lot of you would have seen this product online on various social media and it's been so popular for a good reason. 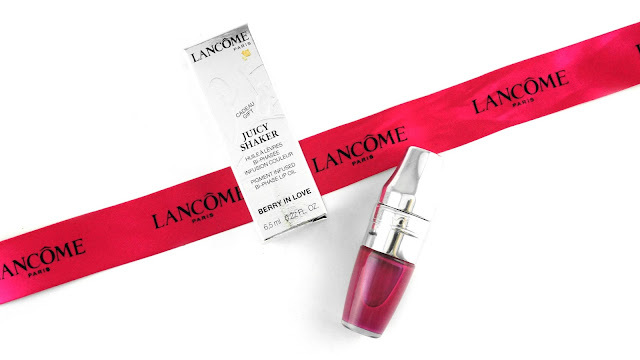 I can't wait to share with you my thoughts on Lancôme's newest lip revolution - Juicy Shaker ($34 AUD, 6.5ml/0.22 fl oz) as they have finally arrived in Australia. Remember the good old original Juicy Tubes and the classic Shaker lipsticks from 1940s? These Juicy Shakers are inspired by the two iconic products of the brand. Incorporating new technology, Lancôme brings to us an innovative concept, a new formula and some fun shades for the Spring and Summer. Why is it shaped like a cocktail shaker? 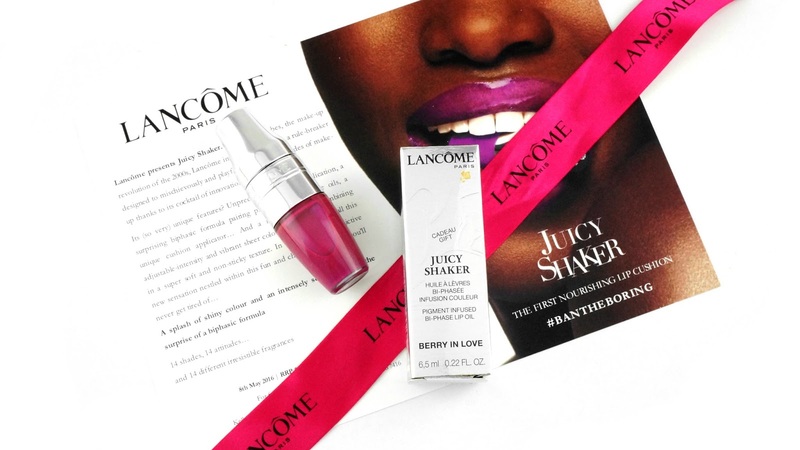 Juicy Shaker is a vibrant lip oil treatment with a biphasic formula that requires you to "shake" the two phases together to create this lip cocktail. In the picture above, you can see the separation of the two phases when you leave it untouched. Phase 1 (top) is a blend of 5 nourishing oils to provide comfort and the non-sticky shine, where phase 2 (bottom) contains the real pigments that give the flush of colour. The formula is somewhat very similar to the YSL Tint-in-oil, which I love love love - I feel like I'm cheating on my YSL by saying this, but I do find the Juicy Shaker is thinner and more comfortable to wear on the lips. It is non-sticky and it glides on so smoothly. This gives a sheer layer of colour to the lips with a glossy finish. You can also apply a few coats to build the intensity of the colour or layer it over lip liner or lipstick for a more pigmented look (I have included some swatches below). If your natural lips are quite pigmented and you want to wear this on its own, I suggest you try out the darker shades as they would show up better. To apply, first you have to shake the bottle to combine the pigments and oil until you see they are no longer separated. Then you simply twist open the cap and use the cushion applicator to dab on the pigment infused oil onto your pout for a glossy flush of colour. Once you twisted open the cap, you will see inside the bottom half there are three tiny holes sitting just underneath the cushion applicator. These holes allow just the right amount of product to deposit onto the applicator when you shake to mix the pigment and oil. 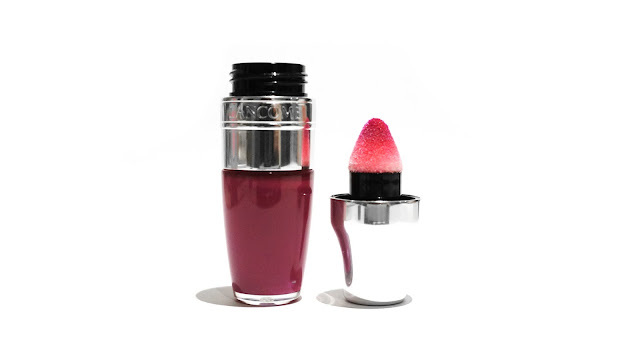 The unique cushion applicator is also another highlight of this product. 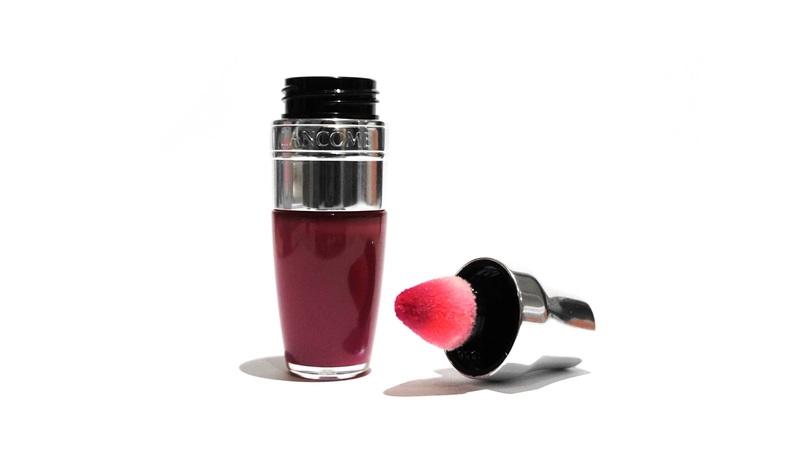 It has a chubby cone shape that is well fitted to my lip shape and you can reach the corners with the tapered tip. It feels so gentle and squishy on the lips when I apply the lip oil. 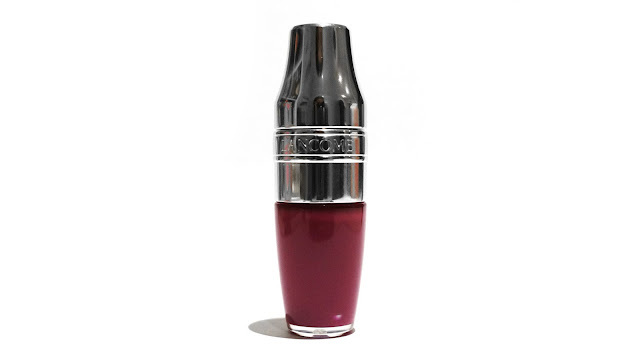 It is unlike any other lip applicator I've come across, something different. It almost feels like those Konjac sponges but softer (that is the closest thing I could think of), it's very hard to explain the texture. The Juicy Shaker has now released exclusively online at Lancôme and it will be available on 8th May 2016 at all Lancôme counters in Australia (you can now also find them online at MECCA, Myer and David Jones). 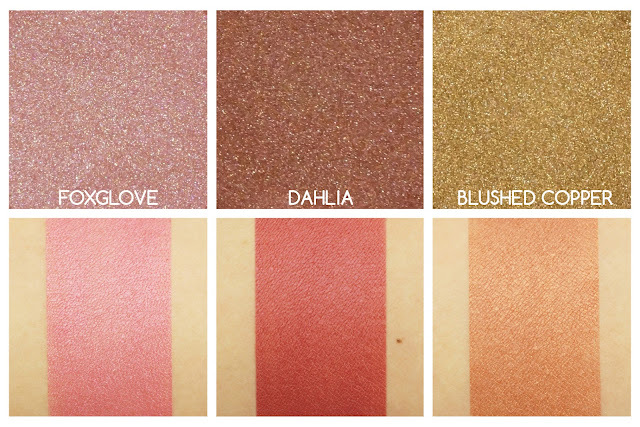 It retails for $34 AUD each and you can also get them in duos ($62 AUD) and trios ($90 AUD) There are 14 shades available in Australia (and 20 in the U.S.), some of the shades have a subtle shimmer throughout. Each shade has a different scent that matches their shade names, for instance, 283 Berry In Love smells like a mixture of berries - so delicious! The only con I could think of is the staying power. Compared to other lip lacquers or glosses, lip oils tend to last around 3-4 hours. It is a product that you would have to reapply a few times throughout the day, especially after your meal, which I don't really mind because it feels so luxurious to apply. 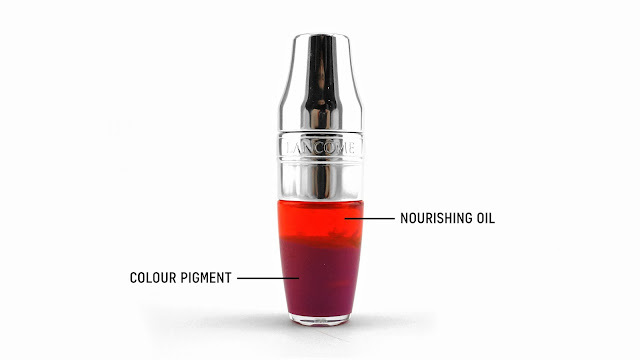 I think I have found my new favourite lip oil for everyday and I might have just ordered a few more shades to feed my sheer lipstick obsession (shhhhhhhh...). What do you guys think? Will you be checking these out?